Unless you’ve been living under a rock for the last 4-ish years, you’ve probably watched a TED Talk or two. Deborah Ring, in her new piece TEAD Talks, pokes fun at TED’s very familiar segment style and through some comedic performances enlightens her audience about “Ideas Not Worth Spreading”. While the characterizations are certainly entertaining to watch, the commentary of the piece is a little confusing. Running October 20-22 as part of the Fresh Meat Theatre Festival, TEAD Talks has tons of character but lacks substance. In case you’re not familiar with the popular YouTube videos (which is also totally fine, no judgement here), a quick Google search will tell you that they are lecture-style conferences lead by expert thinkers in Technology, Entertainment, and Design fields (hence the name TED- though they’ve expanded into many other fields as well), the live-recordings have been offered online for free since 2006 where they reached (collectively) over one billion views in 2012. My personal favourite is by neuroanatomist Dr. Jill Bolte Taylor who describes her very unique experience suffering a stroke. That video was then remixed into Symphony of Science’s very excellent ‘Ode to the Brain’, which is also worth the watch. Ring’s comedy (directed by Gabbie Lazarovitz) revolves around the premise of trying to sell the audience on dubious ideas that are presented in a confident and convincing manner. We are introduced to three different individuals- played by Ring- who each demonstrate their philosophies on life and living. The first speaker brings his very own middle-aged-white-man style of feminism that plays on the characters “good” intentions and his problematic results. Second to take the stage is Lil’Ging, the world’s first female ginger rap artist and purveyor of “Gingerism”. Finally, we meet Maureen who suffers from “anti-body dysmorphic disorder” which causes her to be supremely self-confident despite the character being portrayed as not ‘traditionally pretty’ (meaning: not congruent with the images most often circulated by mainstream media). The staging of this piece is good. Ring nails the style and atmosphere of a TED Talk perfectly and each character carries their own distinct lecture style. Furthermore each speaker is a fully fleshed out caricature making each segment entertaining to watch. However, I’m still not sure what the take away from all this is. 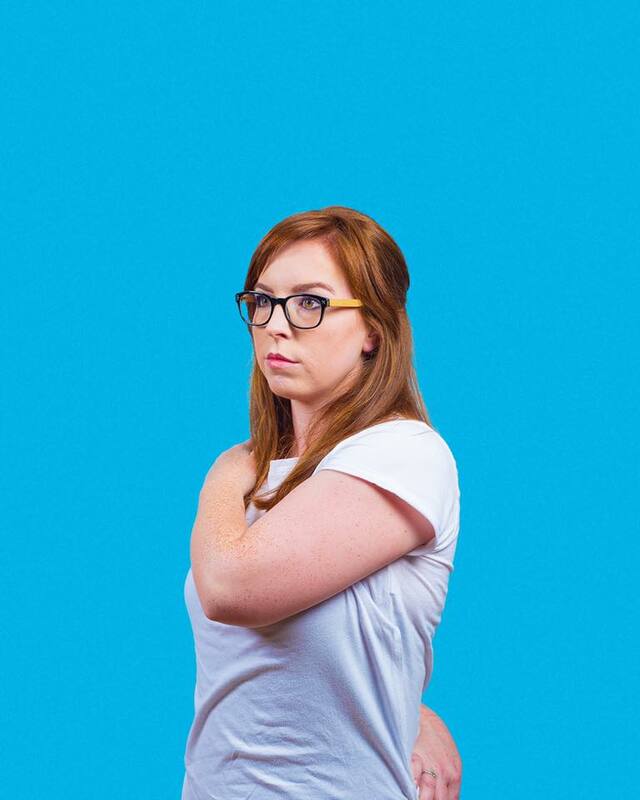 The ‘isms’ as they are presented- Feminism, Gingerism, and Bodysms- are humorous but the material is still a little shallow. The “anti-feminist feminism” as portrayed by a middle-aged white man, let’s call him ‘Joe’ (I missed his name if it was mentioned, but I figured this was suitable), is undoubtedly or perhaps ideally an “Idea Not Worth Spreading”; however, it lacks punch considering we currently have Donald “Nobody Has More Respect for Women Than I Do” Trump running for POTUS. The segment with Maureen also left me a little confused as Body Dysmorphic Disorder is a very real thing and I didn’t find the play on “anti-body dysmorphic disorder” to be very clear. Again, the character work is funny but I am having difficulties reconciling its underlying message. Is it supposed to be a representation of a woman who’s gained self-confidence by way of a possibly real mental disorder? Or is it a reflection on women who find confidence through bringing down other women? Ultimately, if TEAD Talks is meant to be, at its core, a satirical comment on the actual TED Talks themselves and perhaps also on less than qualified speakers branding their thoughts as expert knowledge, then playing these individuals as ‘average joes’ (instead of maybe posing as members of the intelligentsia) sort of robs the piece of that biting commentary. It’s funny, yes, to see these people (people like us) so out of place on a stage that usually hosts Nobel Prize winners, but does it run deeper than that? We already know that these ideas are bad by way of the stereotypes presenting them to us, there’s really no mystery. However, the greater opportunity (I think) lies in actually selling the audience on these ‘Ideas Not Worth Spreading’ through the use of highly convincing pseudo-academic and/or expert characters. We should be reminded that sometimes (okay, most times) these expert speakers have their own biases and self-motivations that colour how they present a certain issue and, moreover, just because an issue is presented to us in an attractive manner that doesn’t absolve it from further critical analysis. A good effort on Ring’s part but there’s still a wealth of potential left to explore in TEAD Talks.